The journey of grandparents of children with albinism is unique, and meeting others who are on the same journey can be very difficult. Grandparent Connections provides grandparents of children with albinism a place to connect and share their experiences with one another. Through a series of teleconferences Grandparents are provided an opportunity to connect with other grandparents, as well as specialists in the field of albinism from the comfort of your own home. The teleconferences are facilitated by a licensed professional and consist of a small group of grandparents. This provides a safe and comfortable environment for you to voice concerns, ask questions, share your experiences, and hear from professional guest speakers. If you would like to participate, please to fill out this brief registration form, then watch your email for details. Bowl-a-thons are for Grandparents Too! This is an exciting time of year for NOAH members across the country – our annual Spring Fundraiser and Bowl-a-thon! These fun events are great places to meet more people in the albinism community while raising money for NOAH. Feeling inspired to join in on the fun while supporting a good cause? Check out what Bowl-a-thon and Spring Fundraiser events are coming up in your area by visiting our Fundraiser Home Page and clicking on your state on the map. We hope to see you and your grandchild there! This call will host a panel of adults with albinism that will share their experiences along with their career choices. If you have questions for the panel, please send them to Sheila at sadamo@albinism.org, and you may hear the answers as you tune-in to this call. Contact the Grandparent Connections Coordinator for access to the recordings when available. Join us for a discussion on the common stages parents and grandparents may experience while adapting to albinism. We will explore some typical emotions and fears many parents and grandparents experience and strategies to help the family adjust and thrive. Grandparents with grandchildren of all ages will benefit from this call, as the process of adapting is ongoing and the support we can offer one another is invaluable. Join us to discuss the social situations a child with albinism may face and learn strategies and tools that grandparents can use to help the entire family. Topics covered will include: building self esteem, developing good social skills, discussing albinism with your family and others, advocacy, and the importance of how you and your grandchildren see the world. A panel of teens with albinism share their personal experiences from growing up with albinism. Teens will share their own stories, struggles and successes, as well as be available to answer your questions. 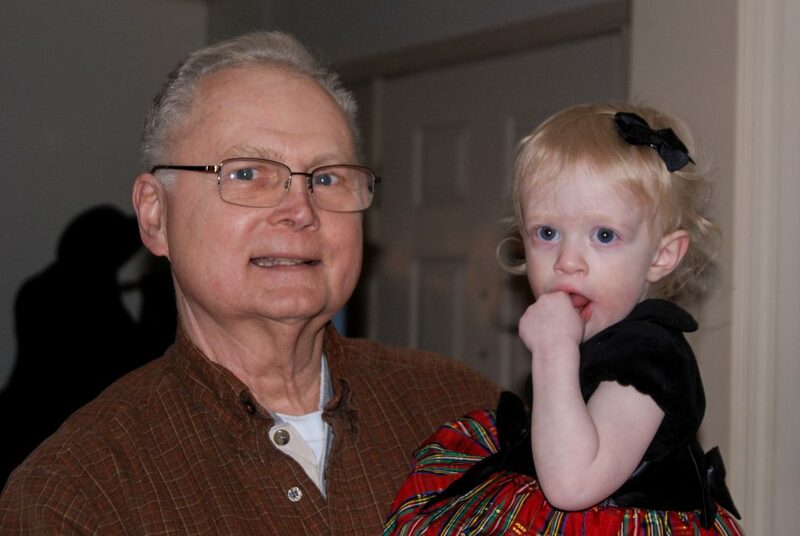 How can Grandparents Help their Grandchild with Albinism in the School System? In this call hosted by Jill Gorman and Kathi Garza, two of the creators of the NOAH SchoolKit, you’ll find the answers to your questions along with some great advice on heading back to school. The NOAH SchoolKit provides information and resources to guide parents and caregivers in supporting general education teachers when a student with albinism will be in their classroom. We will talk specifically about how grandparents can assist in the process and how to use the NOAH website. This presentation outlines the common stages parents experience while adapting to raising a child with special needs, and provides insight and suggestions on assisting your child and grandchild with this process. NOAH’s 2018 Conference – What is it all About and How do Grandparents Fit in? 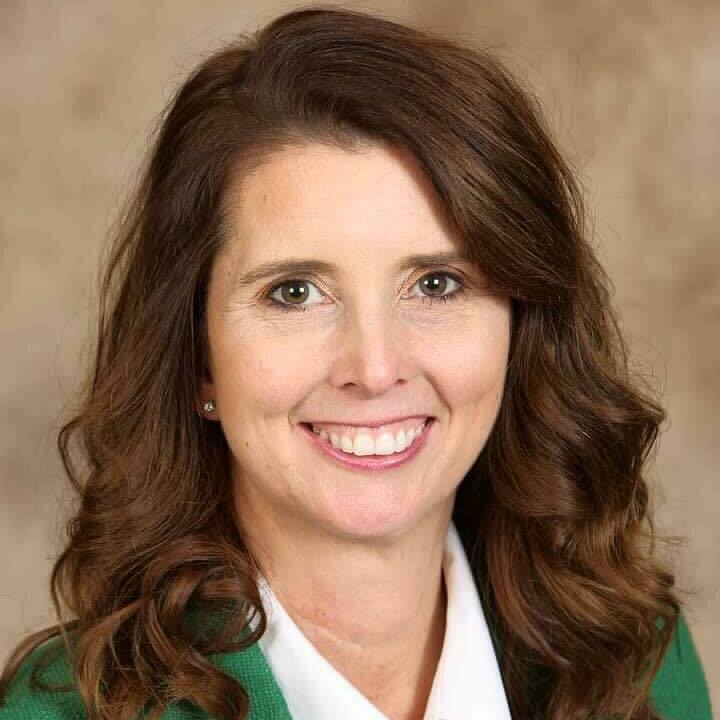 In this call hosted by Mike McGowan and Jill Gorman, we’ll discuss to expect at a NOAH conference and why you should attend. Suggestions will be provided for first time attendees, and grandparents who have attended past NOAH conferences will share their experiences and tips. You won’t want to miss this practical call about growing up with albinism, where Joni and Mike cover all the questions you’ve been too afraid to ask. Our two hosts share their personal experiences growing up with albinism, answer your questions, and share how people with albinism do things that may seem impossible for people with low vision. 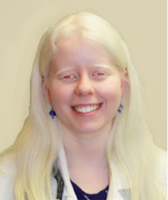 Gianna will outline the role of a vision itinerant and what visual aids are available for children with albinism. Gianna will share her journey as a mother of a child with albinism and the road that led her to become a Teacher of the Visually Impaired and an Orientation and Mobility Specialist. During this call, Dr. Rick Thompson gives a brief outline of albinism and the eye. There will also be time for questions from the listeners. Join us to hear from a doctor who has personal and professional experience with albinism. During this call, we will examine how to effectively deal with comments and questions from others about albinism. Using humor, sarcasm, honesty and anger will all be discussed in the lively, supportive call. This call will have a few young adults and teens with albinism share their experiences of growing up with albinism. This will be a wonderful opportunity for you to learn from the experts. Join us for a call with Mike McGowan, NOAH’s Executive Director and Don Martin, NOAH Board Member and the grandfather of a child with albinism, as they bring the highlights of the NOAH conference home to you. They will also be available to answer your questions regarding any new information or presentations at the conference. If you attended the conference, please join us to share your own highlights and experiences. Join other grandparents for this opportunity to share practical tips on being a grandparent of child with albinism. From hats and sunscreen, to coping with diagnosis of albinism as a family. Do you have questions about what services are available to your grandchild with albinism or what service providers actually do when they meet with your grandchild? What is a TVI, and what is an Orientation and Mobility Specialist? Susan Dalton is a Certified Vision Rehabilitation Therapist, a grandparent and the parent of three adult children, of which two have albinism; and she will be answering these questions and more. 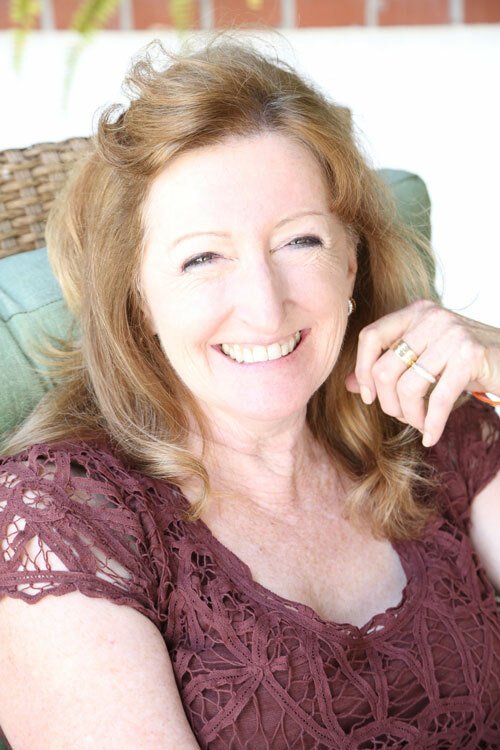 Sue will explain the services that your grandchild receives and what you can expect from these services. Join other grandparents of children with albinism for this opportunity to learn and ask questions about what it’s like to grow up with albinism. Mike McGowan will​ share his​ personal life experiences as a legally blind person with albinism. These experiences ​include his 30 year career as an information technology professional working in the local court, as well as his second career as NOAH’s first Executive Director in January 2010. Prior to being named Executive Director, Mike served as a NOAH board member from 1995 to 2009, including being president from 2001 to 2009. Don Martin and Laura Sawyer (featured in the photos above) shared their knowledge and experiences as grandparents of children with albinism. 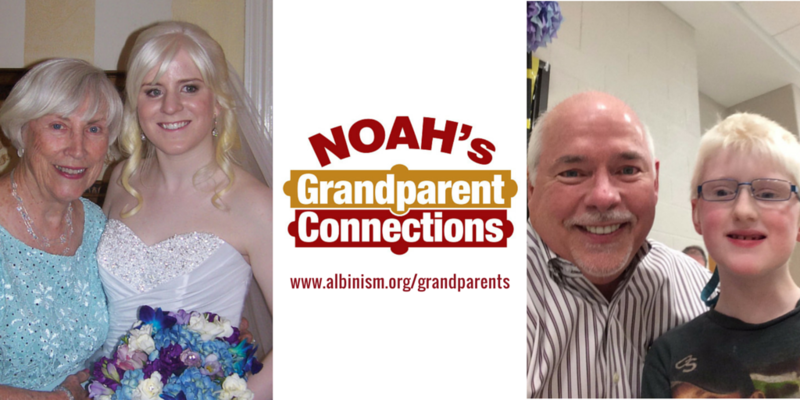 Laura and Don have been involved with NOAH for many years, and they have written recent articles in NOAH’s “Albinism InSight” magazine.